Who are the Basamia Bagwe people in Uganda? They can be traced in Tororo and Iganga districts. 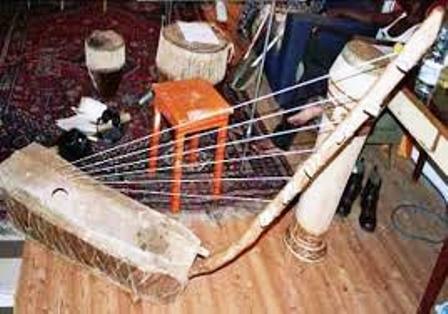 Some Basamia-bagwe clans claim connection to the Joluo of Kenya while the Bagwe claim that they are related to the Banyala. This is further evidenced by the direction in which they face their dead bodies during burial. Many Basamia face their dead to the east. In normal births, the mother confined herself for three days if the child was a boy and four days if the child was a girl. The birth of a boy was accorded fewer days to symbolize the fact that a man should get up early and go to fight or do his own work. As for a woman, she could take her time. However, the Balundu clan reversed this order. For the birth of girls, the other confined herself for three days while for a boy; she confined her self for four days. Normally, in all cases, after the child has been born, the mother and father shave their hair. Thereafter, the boy would come with a spear and plant it in front of the hut of the girl’s mother. If the girl had accepted the marriage, she would remove the spear and take it to the mothers hut. Thereafter, bride wealth negotiations would be entered into. There was no fixed bride wealth for each girl. One was charged depending on one’s status, wealth and titles. This meant in effect, that the rich were charged more than the poor. The general price ranged form between four and eight cows plus a large assortment of goats each of which had a specific role. Upon payment of bride wealth, further arrangements were made to take the girl to her husband. If it was discovered that the girl was a virgin, a goat or its equivalent was sent to the girl’s mother as a sign of appreciation for the good role she had played in seeping the girl intact and safe. It was also customary for a boy to take a fat male goat to be slaughtered at the girl’s father’s home. On this occasion; the girl’s father would stand on it and be smeared with simsim oil. This male goat was meant o cement the marriage and it acted, in addition as a common bond between the two families. The Basamia –Bagwe had an idea of a supreme being called Were or Nsaye. Were said to dwell in heaven and to be responsible for creating the earth and heavenly bodies. They also believed in ancestral spirits. Ancestral spirits were believed to intervene in human affairs and were known to cause harm, death and misfortune if not properly attended to. For this reason, each home stead had a family shrine on which to feed and appease the ancestral spirits. These spirits could be called upon in the event of sickness or misfortune and they were normally appealed to for good health, fertility of women and good harvests. The Basamia- Bagwe believed in the existence of omwoyo, the heart of a living thing. They believed that when some one died, then omwoyo would take flight in the form of a shadow or wind. Such a departed spirit becomes omusambwa. It resides in graveyards and shrines. Emisambwa are believed to have power to interfere with the living. They also act as a link between Nsaye and the living. Emisambwa had their abode in Emagombe, ie in the underworld. Their Taboos varied from clan to clan and no one would eat his toterm. The society was patrilineal and women took up the clans and taboos of their husbands. This was a taboo for a parent to sleep in the same hut as his son-in-law and once children had grown to a certain age, roughly ten years, they would not sleep in the same hut as their parents. Women were not supposed to eat chicken, pork and lung fish. 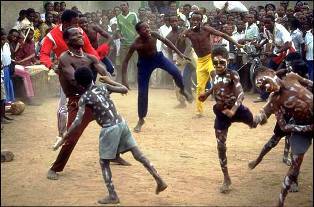 The Basamia-Bagwe also believed in witch craft and curses. The men used to wear goat skins while the women wore sketchy coverings made of tree leaves. The children walked around completely naked. The people used to sleep on a bare floor by fire. If, however, some one was rich enough to afford it, he could sleep on a skin. They did not have chieftainships. Every village was under the jurisdiction of an elder called the Nalundiho. Besides being a political figure, the Nalundiho was also a rain maker. He administered law and order and he was responsible for settlement of disputes. He was the most influential person into the village and his position was hereditary. His powers were widened by his role as a rain make. It is said, for instance that if any one refused to settle his debt the Nalundiho would deny that debtor’s location rain until the debts were duly settled. Because of his capacity as a rainmaker, nobody could taste any of the new harvests before the Nalundiho did so. Wizardry was decried and if caught, a wizard could be killed. Their economy was simple. It was based on subsistence agriculture. 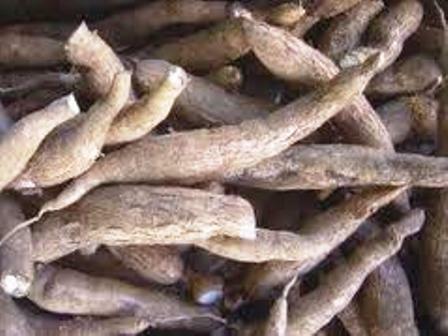 They grew millet, sorghum, cassava and a variety of beans. Besides, they reared cattle, goats and chickens. Land was communally owned on a clan basis and there was enough land for all.